The litter-bag technique has become common in the estimation of the rates of decomposition, but in many cases the bags are incubated for only a short period, raising the issue of the extent to which short-term incubations represent long-term litter decomposition. We addressed this using 12 years of data from the CIDET study. 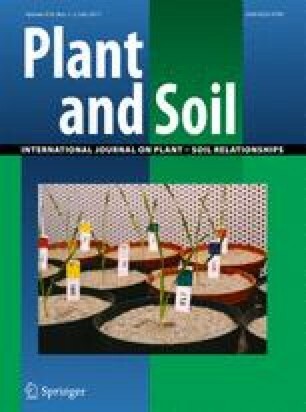 The CIDET study involved placement of 10 foliar litters on the soil surface and wood blocks on the soil surface and buried across temperate to subarctic Canada. Bags were retrieved 10 times over 12 years at 19 sites and the residual litter mass determined. A literature search revealed that 84% of published litter-bag studies in temperate-boreal-subarctic regions were of 3 years duration or less. The strength of the relationship between the mass loss after 1 year and later years at each CIDET site, expressed as the coefficient of determination (R 2 ) among the 12 litters, decreased with length of incubation, reaching an average of only 0.4 after 12 years. The R 2 value was inversely related to mean annual temperature. The single exponential model of mass remaining (k) declined with length of incubation, and the rate of decline varied among litter types and sites. For 3 litters at 19 sites, the 3- and 12-year k values were strongly related. These results show that caution should be exercised when extrapolating short-term litter-bag studies (e.g. < 3 years), particularly in temperate climates. Climate station data were provided by Environment Canada, Atmospheric and Environment Services. We acknowledge all members of the CIDET Working Group, without whom this study and analysis would not have been possible: D. Anderson (University of Saskatchewan, SK), C. Camiré (Université Laval, PQ), L. Duchesne (Canadian Forest Service, ON), J. Fyles (McGill University, PQ), L. Kozak (University of Saskatchewan, SK), M. Kranabetter (Ministry of Forests, BC), I. Morrison (Canadian Forest Service, ON), M. Siltanen (Canadian Forest Service, AB), S. Smith (Agriculture Canada, BC), S. Visser (University of Calgary, AB), R. Wein (University of Alberta, AB), and D. White (Dept. Indian and Northern Affairs, YK). More information on CIDET, including a complete list of publications, is available at: http://cfs.nrcan.gc.ca/projects/76. The contribution of R. Ferris and other technical staff and students at the Pacific Forestry Centre is gratefully acknowledged. TRM was supported by the Natural Sciences and Engineering Research Council of Canada. We thank B. Berg and an anonymous reviewer for useful comments on the manuscript.